There are seven parking stalls for individuals with disabilities available and located throughout the Civic Center and the Hall of Justice Courthouse on a first-come, first-served basis. 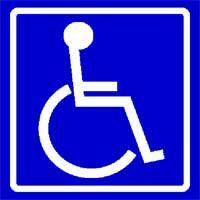 All disabled parking is clearly marked with signage and a disabled placard is required to park at these locations. View the approximate locations of ADA parking indicated on the map below.